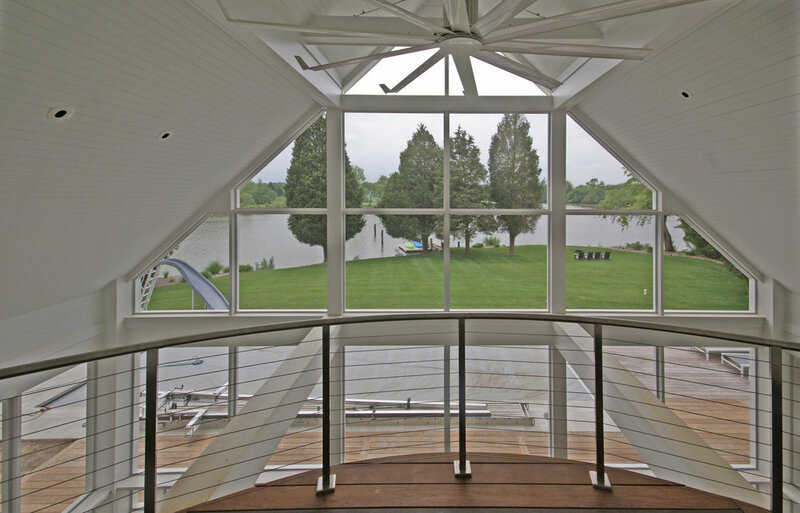 The owners wished to have a screened porch added to the rear waterside of their home. Several options were reviewed with the owner. A story and a half approach was selected which significantly improved the character of the rear of the home. One of the photos shows the original view of the rear elevation. 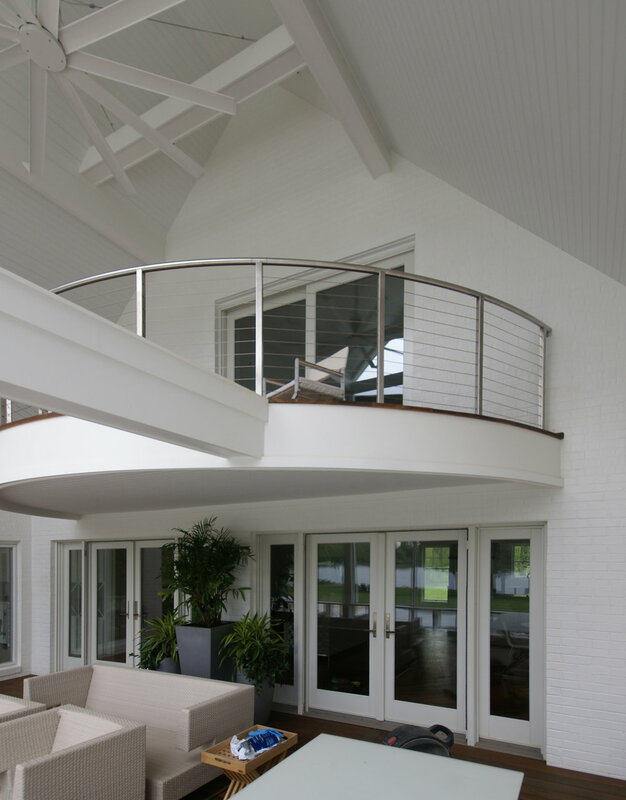 A curved balcony off of the second floor master bedroom opens onto the interior of the porch. 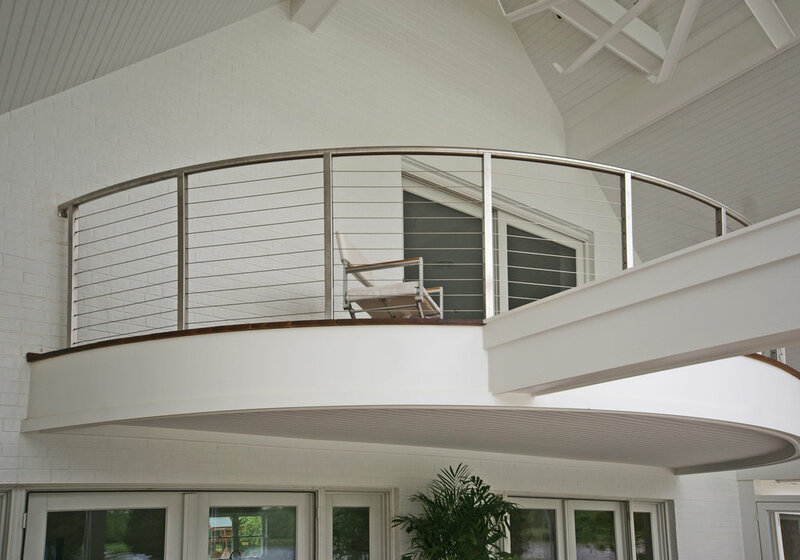 Wire railings preserve the open quality of the design.